30 May 2014 (subplinian), 1997-99, 1985-88, 1966, 1964-65, 1958, 1957, 1956, 1955, 1954, 1954, 1953, 1927, 1912, 1911, 1860, 1821, 1715, 1512. 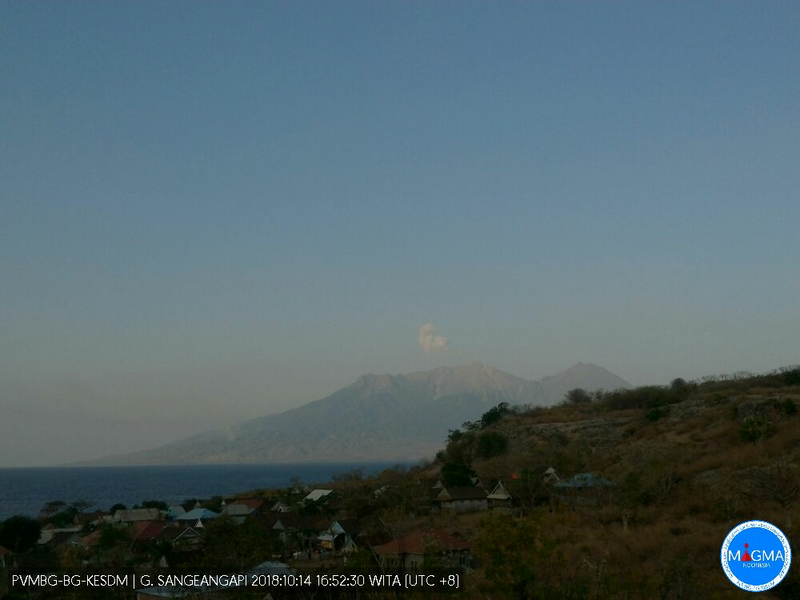 View of Sangeang Api this morning (evening local time). Credit: MAGMA Indonesia. A new episode of small, regular ash emissions is occurring, with ash plumes to 2.2km (7,000ft). 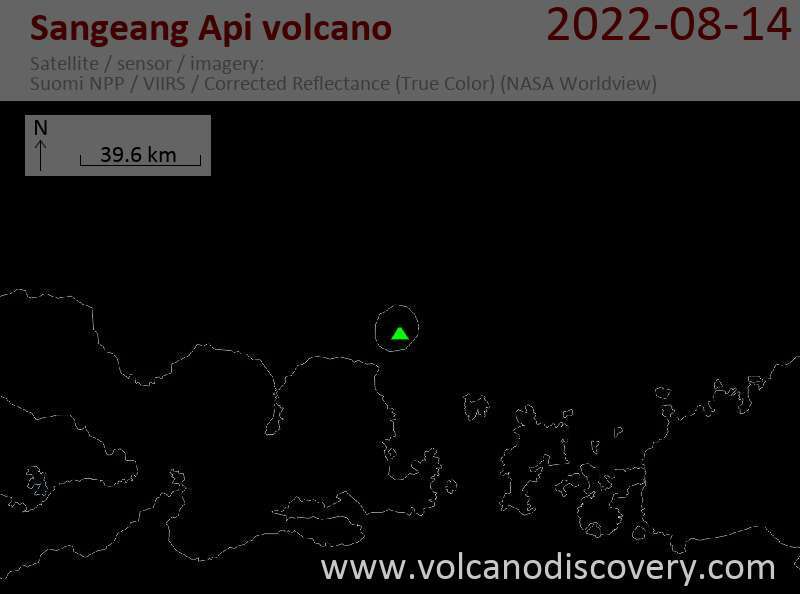 The level of seismicity has remained high following the minor eruption last year. The Alert Level remains at 2. 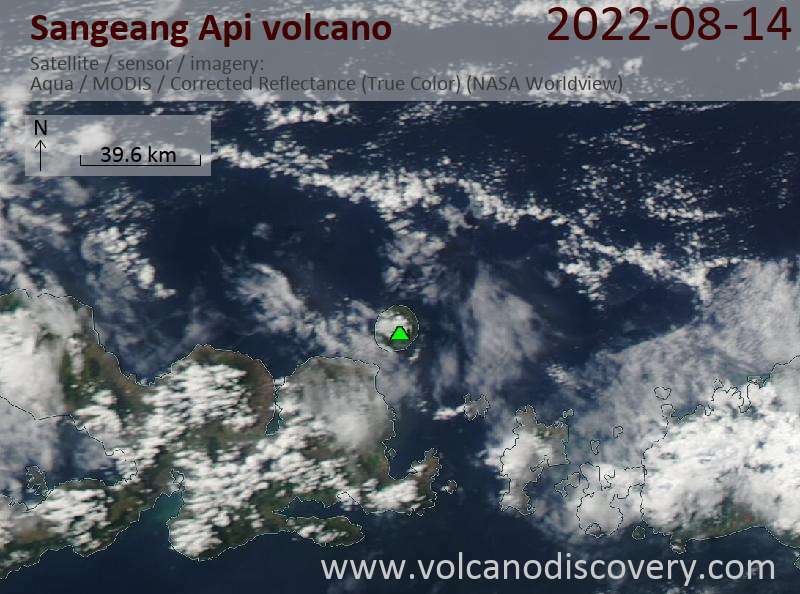 Sangeang Api volcano Volcanic Ash Advisory: VA OBS TO FL090 EXT TO NW AT 12/0850Z.